Recently I interviewed Kat Mulheran, the owner of Bent Books, a second-hand bookstore in West End, and while wandering around afterwards, I picked up a copy of Cory Taylor’s book Dying: a memoir (Text Publishing 2016). It has been on my TBR list for ages, but the current personal circumstances of a friend meant this copy of the book called to me from the shelf, demanding that I pick it up, buy it, read it. It is a slim volume. 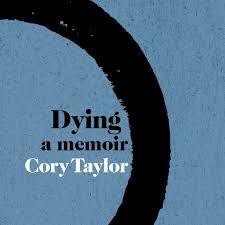 Author Cory Taylor speaks frankly and movingly about her approaching death, her brain tumour, her melanoma. She talks about the questions she is asked most often because she is dying, and she explains her answers. She paints a loving portrait of her husband and her children, and she relives often confronting memories about growing up and her family of origin. She speaks of the sadness and frustration of death, the happiness and poignancy of life, and the futility of railing at anything in between. In simple but beautiful language, she parses the meaning of her life, and the point of our being here at all. This book is a meditation, a breath, a prayer, a sigh. It is a tender, wise and clear-eyed assessment of death. It is a book that urges the reader to pass it on to another’s hands.